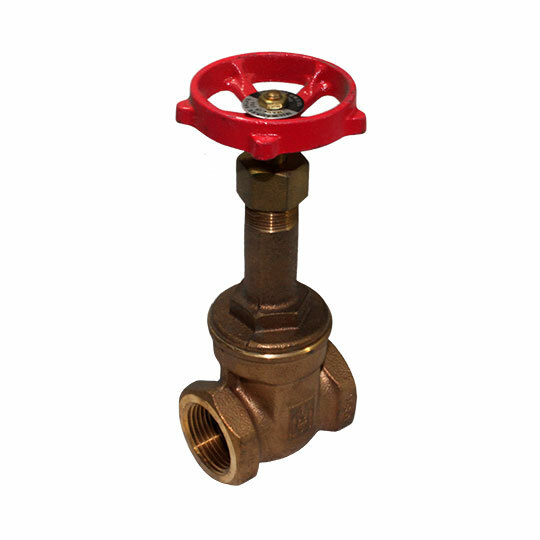 Gate valve 111101 has bronze body material that meets the ASTM B62 specification and bronze trim along with threaded connection and bonnet. The pressure rating is 125 lbs. This valve has rising stem operation with a solid wedge disc. Not intended for use in potable water.